In 1973 Georgia O'Keeffe employed C. S. Merrill to catalog her library for her estate. Merrill, a poet who was a graduate student at the University of New Mexico, was twenty-six years old and O'Keeffe was eighty-five, almost blind, but still painting. Over seven years, Merrill was called upon for secretarial assistance, cooking, and personal care for the artist. Merrill's journals reveal details of the daily life of a genius. The author describes how O'Keeffe stretched the canvas for her twenty-six-foot cloud painting and reports on O'Keeffe's favorite classical music and preferred performers. Merrill provided descriptions of nature when she and the artist went for walks; she read to O'Keeffe from her favorite books and helped keep her space in meticulous order. Throughout the book there are sketches of O'Keeffe's studio and an account of once assisting O'Keeffe at the easel. Jockeying for position among the helpers O'Keeffe relied upon was part of daily life at Abiquiu, where territorial chows guarded the property. Visitors came from far and wide, among them Eliot Porter and even Allen Ginsberg accompanied by Peter Orlovsky. All this is revealed in Merrill's straightforward and deeply respectful notes. 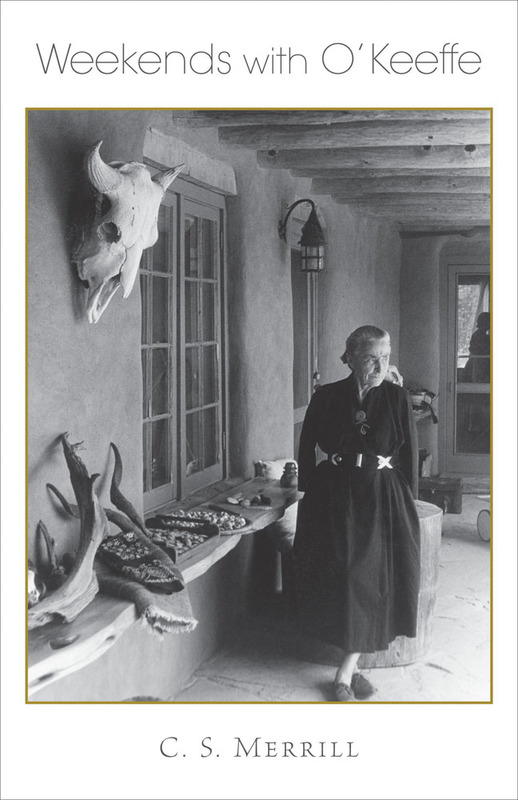 Reading her book is like spending a weekend with O'Keeffe in the incomparable light and clear air of Northern New Mexico mountains and desert. C. S. Merrill is the author of a book of poetry, O'Keeffe: Days in a Life. She is a poet, storyteller, and librarian in New Mexico.